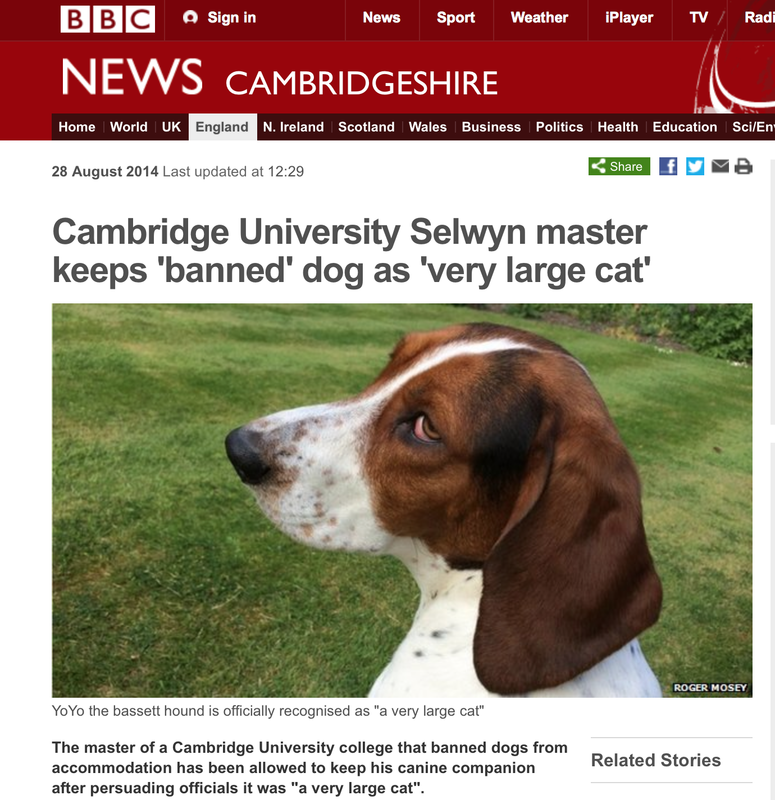 robertafleck: The truth behind the Cambridge "very large cat"
The media loved the story recently of YoYo, the Basset Hound, who had circumvented rules banning dogs at Selwyn College, Cambridge by being classified as a "very large cat". Nothing like a bit of good-old fashioned British eccentricity. 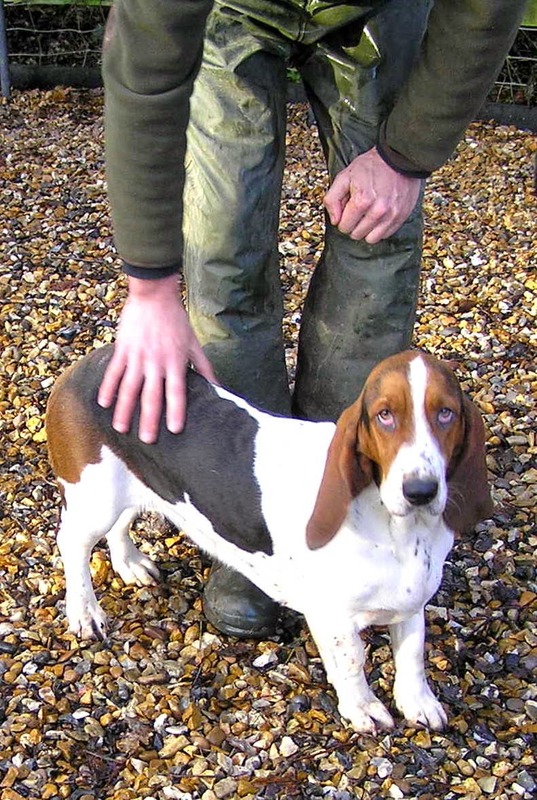 There's been a few sniffy comments , though - with several people suggesting the dog is a cross, not a purebred Basset. But I can exclusively reveal that YoYo is the real-deal. 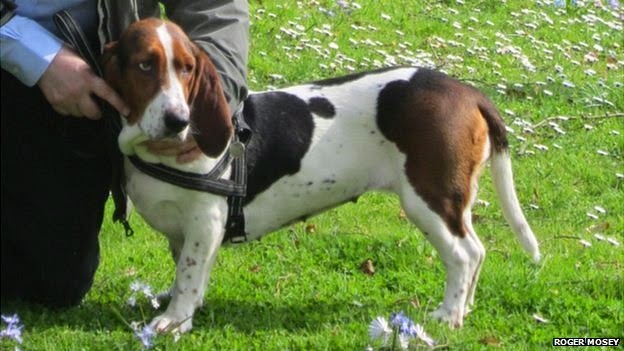 She is a retired working pack hound from the wonderful Albany Bassets - a dog who has as much right to be called a Basset as any of the baggy, saggy show dwarves who trip over their own ears. Although, actually, YoYo was retired and re-homed because she is a little long in the leg, even by Albany standards where the hounds are much more athletic than their show cousins. "She was a lovely hound, very well behaved and an excellent working hound," says the Albany's Alison Jeffers. "The only reason we re homed her was because she is taller in the leg than the majority of our hounds and therefore too fast. We try and keep a very level pack so when out working, they all stick together and work as a team. 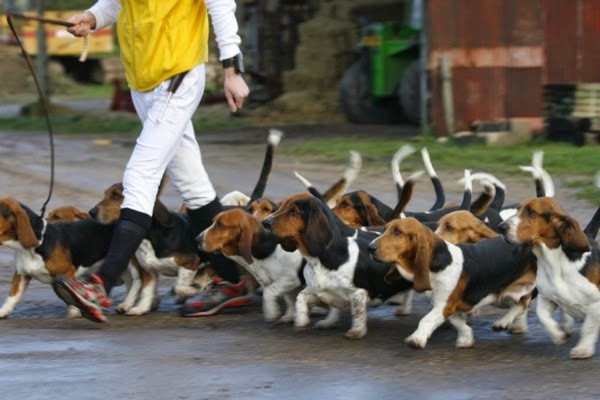 Slower or faster hounds have to go, the outcome is to become a pet dog!" Here's YoYo in her working days.